Chicken farm equipment in Livi Macinery all have advantages of specific design and management centralization. 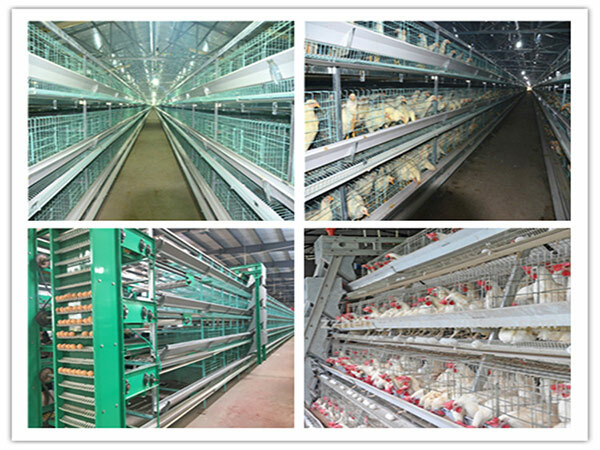 Chicken farm equipment and battery cages systems can provide poultry farmers three types of poultry cage system. 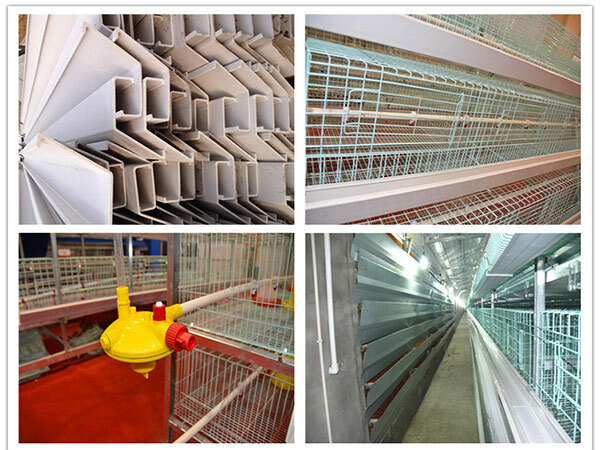 Automatic layer cages, automatic broiler cages and layer baby chicks cages and broiler baby chicks cages. For example, all the chicken cages system in our industry contain two types-A-type and H-type chicken battery cage system. The poultry chicken cage system have many sizes such as three tiers and four sizes. The size of three tiers is 1950mm*350mm*380mm for A-type. And the four tiers is 1950mm*450mm*410mm for A-type. For H-type poultry chicken cages system, there is four tiers used in most poultry farming cage systems. Our poultry chicken farm equipment all adopt the electrostatic spraying techniques. This metal spraying technology for poultry farming equipment can prolong the service life about 15-20 years. Chicken farm supplies in poultry equipment can increase your work effiency and save your much energy. Our chicken supplies such as poultry feeding system, poultry drinking system, poultry management system, egg collection system and climate control system have good population in our clients. Our poultry climate control system can adjust the environment for your flocks. If the chicken coop is much cooler in winter or much hotter in hot summer, Livi climate control system will play an important part in your poultry farming manufacturers. The poultry feeding system and poultry drinking system are our poultry industry’s hot-selling products. Chickens can be more healthier under the careful feeding of our automatic chicken feeding machine. By the virtue of characteristics of high quality, long service life, hygiene and reducing the waste of water and feed, protecting environment and saving costs, our poultry equipment supplies are the necessary items when clients are purchasing. You can inquiry us and tell us about your basic farming conditions of your chicken breeding, and we will give you the suitable plan for you. Welcome to visit our poultry farming machinery. If you are interested in Livi poultry equipment, or you have any questions, please contact us! How to Ensure Good Ventilation in Poultry Farm House?